Experience adventure and see the world beneath the waves with Anchor Diving Malta – this is where it starts. Get your scuba diving certification with the PADI Open Water Diver course – the world’s most popular and widely recognised scuba course. Millions of people have learned to scuba dive and gone on to discover the wonders of the aquatic world through this course. Just Three Steps And You Are A Qualified Diver. At Anchor Diving Malta, we have no hidden cost. All of our courses include – Pickup from your hotel, all equipment you need, instructions, transport to shore based dive-sites, the course manual, and most importantly your PADI Certification Card. A comprehensive start-up course made up of 5 class sessions, 5 confined water sessions, 4 open water sessions and a final test. 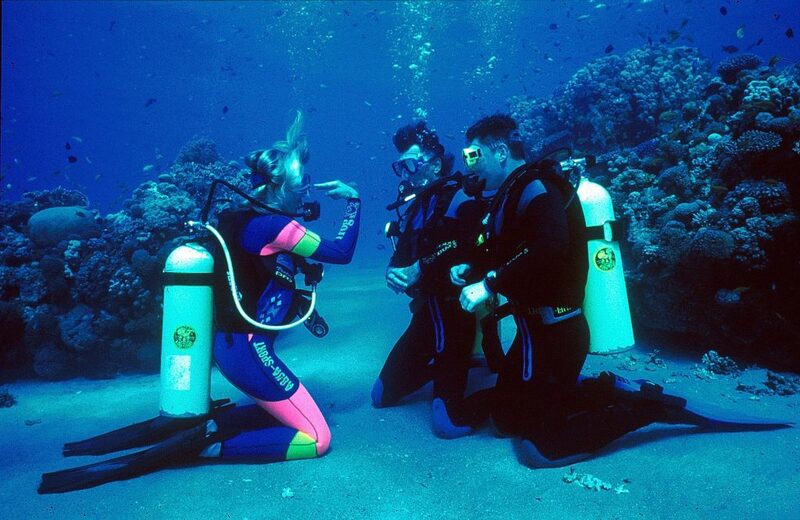 You will learn everything you need to know to keep you safe underwater and enjoy diving. If you are not sure if the course is for you why not first try our PADI Discover Scuba session and receive full credit towards the Open Water Diver Course. Once you pass this course you will receive the world’s most popular diving qualification card, you will be a PADI Open Water Diver and this will allow you to dive to a maximum depth of 18m with a suitably qualified buddy. If you are short on time and want to make the most of your holiday then this is the one for you. It’s a very popular way of completing the Open Water Diver Course in your country and especially if the water is not so warm. It consists of the same sessions as the full Open Water Course however, you do the hard part back home with your local PADI Dive Centre and then complete just the Open Water Dives with us here at Anchor Diving to gain your qualification. If you are time is limited the PADI Scuba Diver Course could be for you. Its the first half of the Open Water Diver Course and will qualify you to dive to 12m with a PADI Professional. It’s made up of 3 class sessions, 3 confined water and 2 open water sessions and you can always come back to upgrade to a full certification. Work hard, have fun and you can be a professional advanced open water diver in just 5-6 days!